Grand Valley State’s sports teams have been incredibly successful for years. Grand Valley State University students will now be able to major in Global Studies and Impact Major for the Brooks College of Interdisciplinary Studies. Fall is characterized by the changing leaves, trips to the apple orchard and often, illness and fatigue from heavy course loads. From Labor Day to Thanksgiving, students at Grand Valley State University attend classes for 11 and a half weeks without an official break. Affiliate professors may not be able to be on track for tenure, but now, Grand Valley State University affiliate professors will have a support system behind them. Michigan Senator Curtis Hertel Jr. and Representative Tom Cochran announced a new piece of legislation Sept. 15 that looks to prevent sexual assault on college campuses. 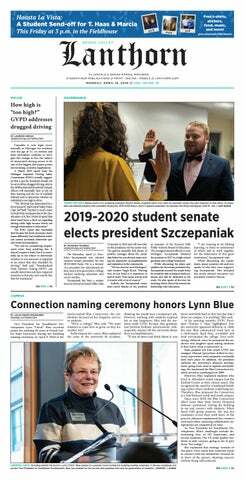 Grand Valley State University's student senate had their first meeting of the school year Thursday, Sept.
As students move back to campus and adjust to college life, the Grand Valley State University Police Department (GVPD) is also prepping for the fall semester. Though GVPD does not take a summer vacation, they use that time to make changes and adjustments to better suit the university population. To increase the amount of Michigan residents with college degrees 60 percent by 2025, Grand Valley State University, Godwin Heights Public Schools and the Michigan College Access Network (MCAN) are establishing a graduate student college advising program. Recently, the GVSU Charter Schools Office was recommended for accreditation by a third-party review team, AdvancED.